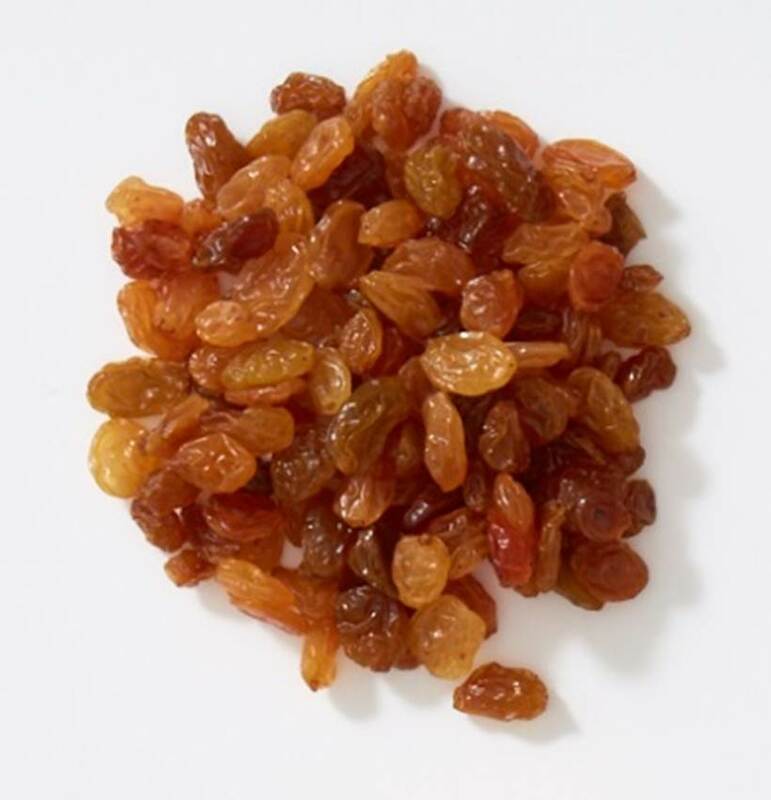 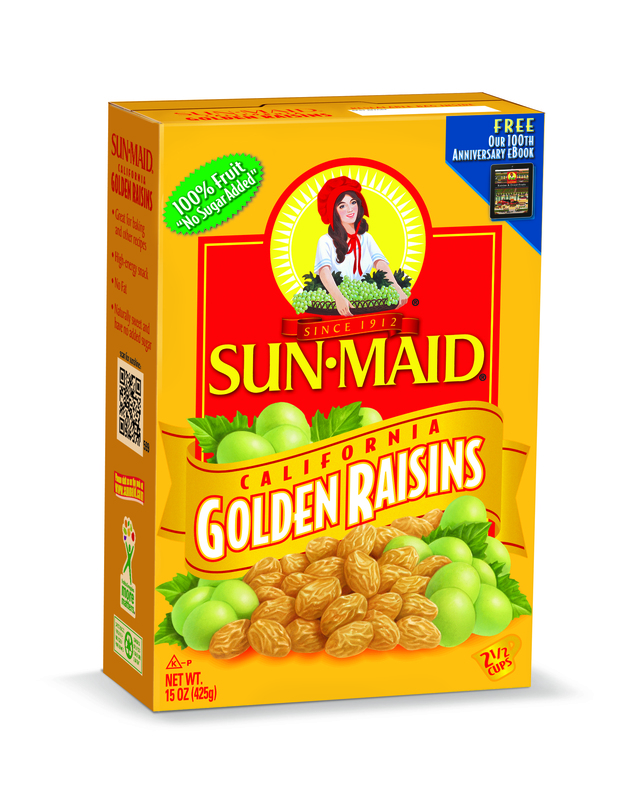 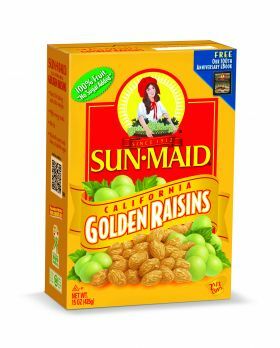 Dried from only the finest Thompson Seedless Grapes, our Golden Raisins have a sweet flavor that makes them perfect for cookies, cakes, fruit cakes, and other bread recipes. Add them to a salad for a bit of sweetness, or eat them by themselves for a low calorie snack. 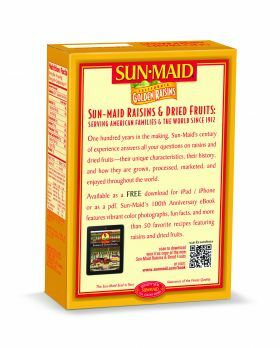 With Sun-Maid, you get it all - quality, taste, convience, and real fruit goodness.